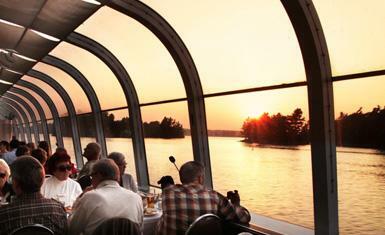 Made in Kingston experiences your guests will love! 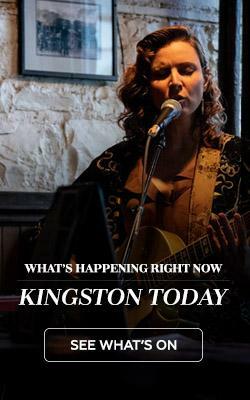 Impress the guests at your next event or conference by treating them to some unique and authentic experiences that you can only have in Kingston! Rediscover some Canadian history, take a culinary adventure, or work on your team-building skills – whatever you’re looking for, it’s here in Kingston. 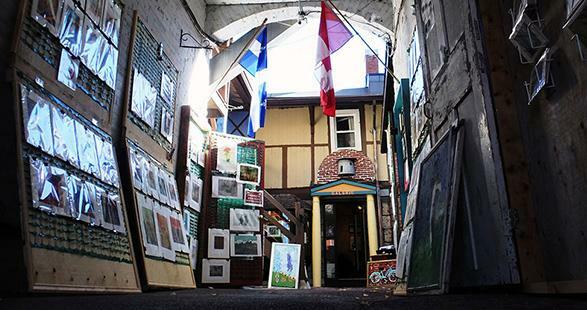 Martello Alley is a quirky and fun art gallery located in an old alley in downtown Kingston, and the only experience of its kind in Ontario. This artist collective is full of eclectic works ranging from paintings to photography, glass art to encaustic work, and fabric art to hand crafted jewelry. Offering original artwork as well as prints and cards, this is an art shopping experience you and your guests will love. Tours through Kingston Penitentiary offer your guests a rare and unique opportunity to go behind the walls of Canada’s oldest and most notorious maximum security prison. 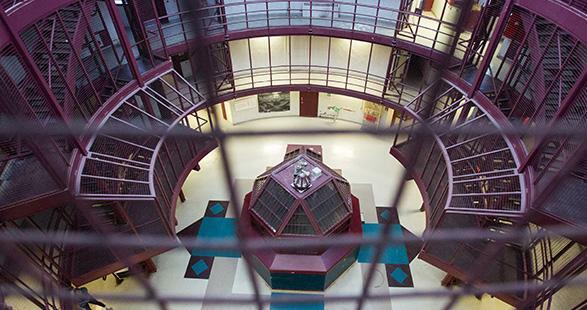 Closed in 2013, the guided tours provide an up-close look at KP as an amazing historical building and a national historic site, which predates Canadian confederation and has housed some of the country’s most infamous criminals. Fort Henry was built from 1832 to 1837, and opened as a museum and historic site by Prime Minister Mackenzie King in August 1938. During World War II, Fort Henry became Camp 31, a Prisoner of War camp for enemy merchant seamen, soldiers, sailors and airmen. 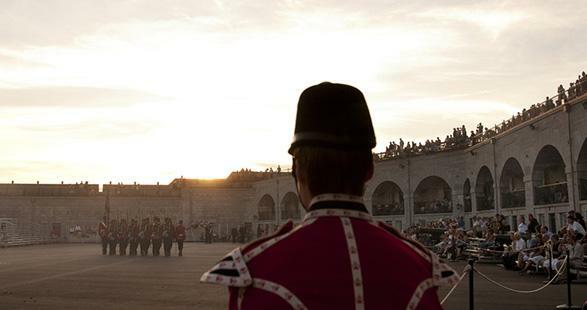 Reopened in 1948, Fort Henry has seen millions of visitors pass through its gates to watch the internationally acclaimed Fort Henry Guard perform. Treat your delegates to an afternoon of history! Sir John’s Pub occupies the building used by Canada’s first Prime Minister, Sir John A. Macdonald, as his law office from 1849 to 1860, so it’s only fitting that today the building should be a Scottish pub heralding Sir John’s Scottish origins and his fondness for the drink, while featuring an impressive selection of imported and local beers, plus a large selection of Scottish single malts and blended whiskies. 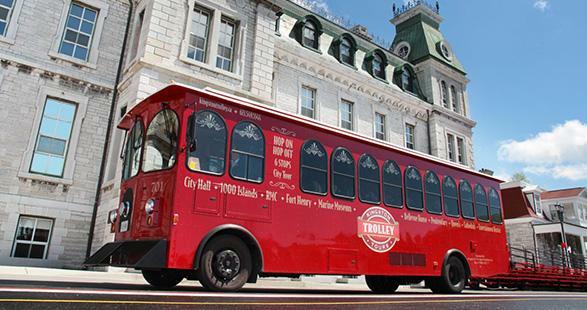 Kingston Trolley Tours are a great way for your guests to experience the city, with hop-on/hop-off access to some of Kingston’s most popular attractions. While en-route to your destination, you’ll receive an informative overview of Kingston’s history. The route itself covers all of Kingston’s historic old town and downtown shopping district, and as far East as Fort Henry and as far West as the Kingston Penitentiary. 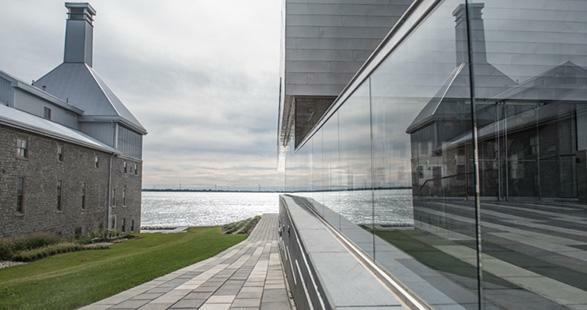 The Tett Centre is an eclectic building located on the scenic waters of Lake Ontario. It’s a modern hub of arts and culture set in a beautifully restored distillery. Within the Tett, your guests will find the studios of visionary potters, painters and dancers. You will all also have the opportunity to enrich yourselves in performances, workshops and concerts that take place all year-round. 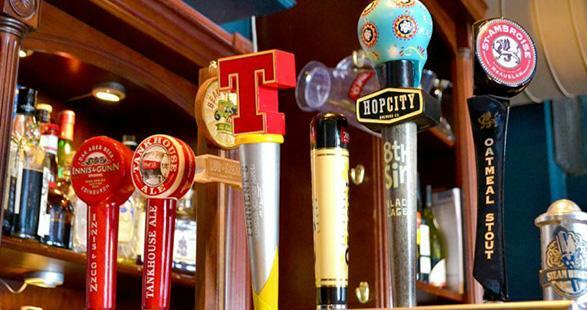 Kingston Food Tours is a walking tour of Kingston’s hip and historic downtown that blends tastings at our best local restaurants with an insider’s perspective on the city’s history and culture. 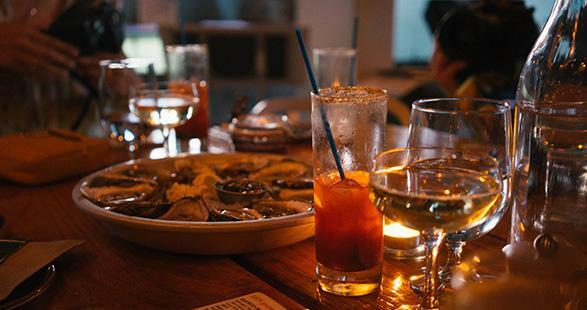 These tours focus on unique shops, restaurants, artisans, and farmers who contribute to Kingston’s thriving local food movement, which is sure to be a crowd pleaser for your guests. 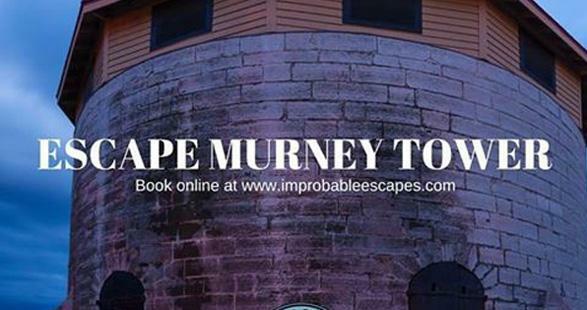 As seen on Ghost Hunters, you and your guests can explore Fort Henry, Kingston’s spooky 19th century fortress, as your guide recounts its tragic history, including the hanging of Nils Von Schoultz and many supernatural encounters! 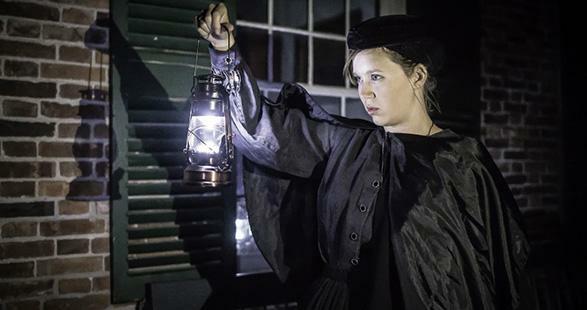 You can also take the classic tour through old Sydenham Ward, which features haunted hotels, hidden burial grounds, grave robbings, and Kingston’s famous haunted courtyard! Treat your guests to a unique team-building activity that challenges all that is normal. Together, you’ll attempt to find keys, piece together clues and solve puzzles in order to make your way through the game and escape before time runs out. The odds are improbable, but are you and your delegates up to the challenge? Put your smarts to the test with this perfect ice-breaker of a game. 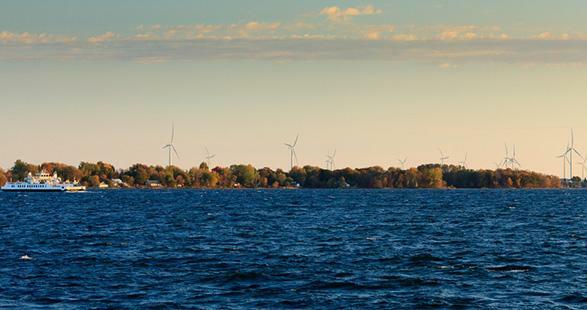 Wolfe Island is the largest of the world-renowned Thousand Islands. Located where Lake Ontario ends and the St. Lawrence River begins its flow to the Atlantic, its beautiful sunrises, sunsets and spectacular night-time skies are a big part of its charm. 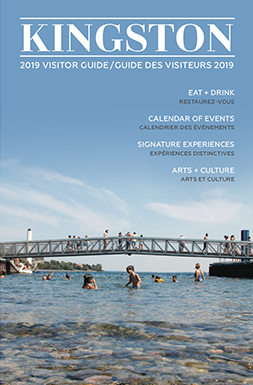 You and your guests can hop on a free ferry and spend your downtime exploring, lounging on the beach, getting lost in a corn maze or enjoying some of Wolfe Island Bakery’s legendary butter tarts.